Uber started with the simple idea of pressing a button and getting a ride. Six years and more than two billion trips later, we’ve grown into the largest global ridesharing network and branched into new businesses like UberEATS and Uber for Business. Now, Uber is bringing that magic to one of the most important industries in the country: trucking. Truck drivers are the heart of the American economy. They drive about 10% of all miles and haul a whopping 14 billion tons of freight every year. That averages out to almost 250 pounds of goods for each American every single day. Truck drivers take on a great risk to make sure we get the products we need, from the produce in our local supermarket to the clothes at our favorite stores. But running a trucking business isn’t easy. Uber Freight aims to empower truck drivers and small trucking companies to run and grow their business. So what is Uber Freight? Uber Freight is an app that matches trucking companies with loads to haul. We take the guesswork out of finding and booking freight, which is often the most stressful part of a driver’s day. What used to take several hours and multiple phone calls can now be achieved with the touch of a button. Vetted users download the app, search for a load, and simply tap to book it. We send a rate confirmation within seconds, eliminating a common anxiety in trucking about whether or not the load is really confirmed. On top of that, we aim to deliver where it matters most: payments. When trucking companies get paid, they typically have to wait 30 days or longer, enough time to sink a small business. We’ve also heard stories of drivers waiting over 10 hours to get loaded without compensation. 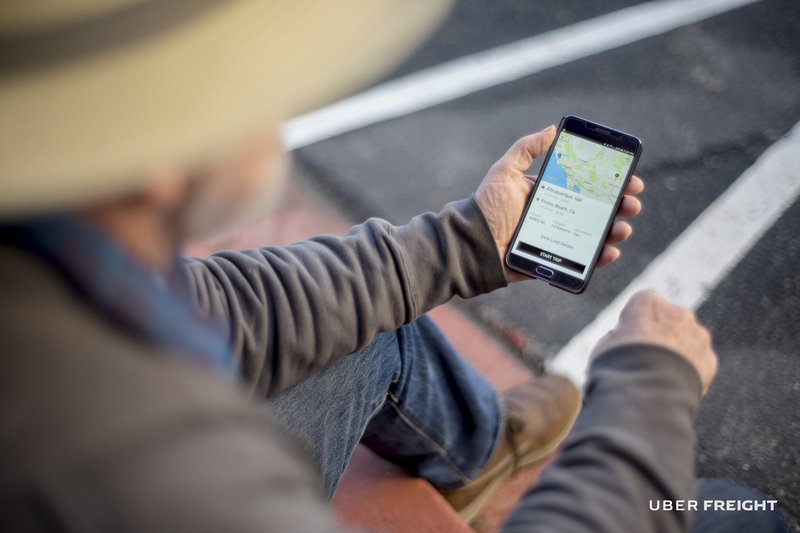 Uber Freight is committed to paying within a few days, fee-free, for every single load. When things don’t go as planned or drivers have to wait longer than expected, we pay for that too. These “accessorial” rates are published right on our blog and website. We fundamentally believe that by focusing on drivers’ pain points we can solve the industry’s biggest challenges. Happy drivers means happy shippers, and ultimately everyone benefits, including the end consumers of the goods. We’ve built a team of industry experts, leading technologists, and, of course, truck drivers to help us push the industry forward and level the playing field for trucking companies. If you want to learn more or get involved, get in touch today!